Numerous modern companies from various industries such as services, gastronomy or construction sector have already evaluated and acknowledged the value of our light-weight portable cabins and portable offices. 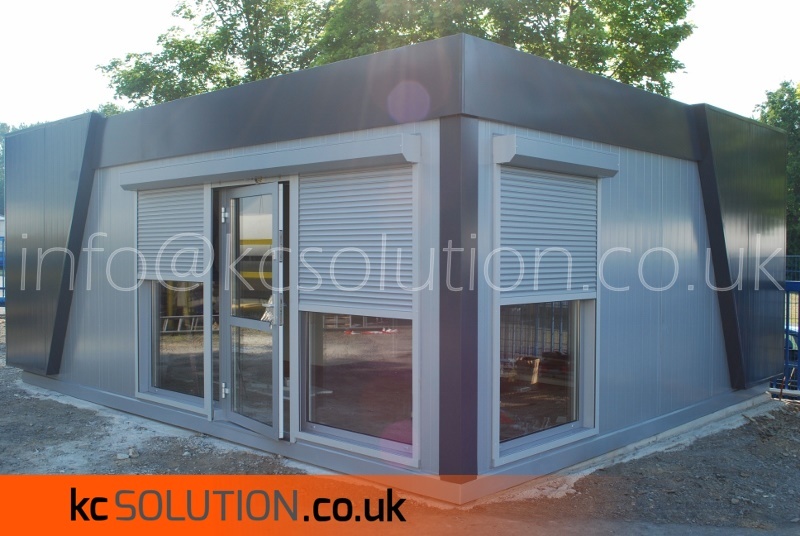 A modular building provides entrepreneurs with infinite opportunities of wall finishes, elevation and the installation of the equipment in order to create and sustain the coherent image of the company. Our portable cabins are extremely economical due to the fact that they are rather small and have appropriate thermal insulation. Pavilions are steel, durable and adaptable and as a consequence, they can serve the purpose of a portable sales office, a shop, a recreation room, a training center, a guard house, a ticket office, a kiosk or a dining facility. All of our products are precisely prepared with attention to details. They meet the requirements of the construction law in order to provide you with the products that are aesthetically pleasing and functional at the same time. Up till now, buildings based on a wooden structure have been the most popular on the English market. However, it is worth remembering that they are not energy efficient and that their maintenance costs are very high. 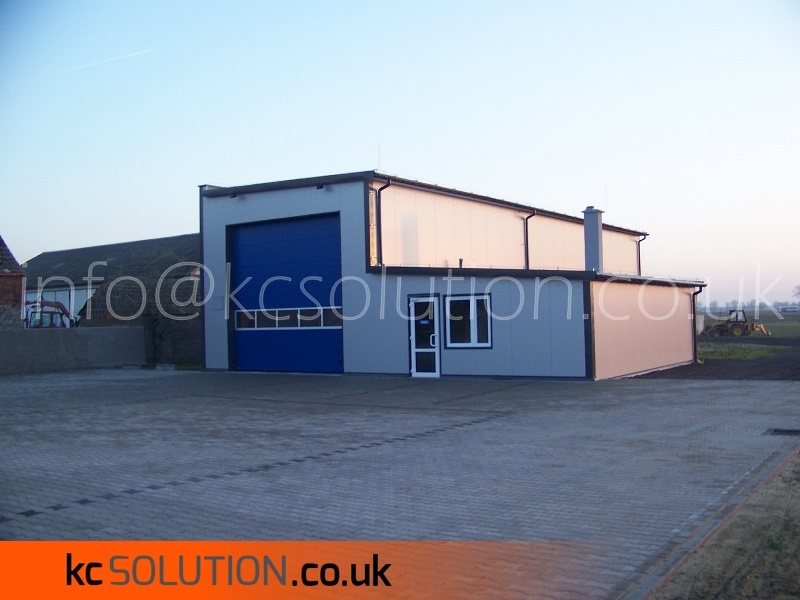 Our modular buildings are perfect for a vividly developing business. Namely, a portable office can be expanded or moved to another location without much effort. Nonetheless, you can equip them with electricity and kitchen or sanitary facilities for your employees. Our portable cabin is perfect for a coffee kiosk. You can customize it as you like, in order to attract the attention of the potential clients more effectively. Installation of a kitchen or sanitary facilities will not be problematic at all. If necessary, you can easily transport it to any other, more beneficial area. 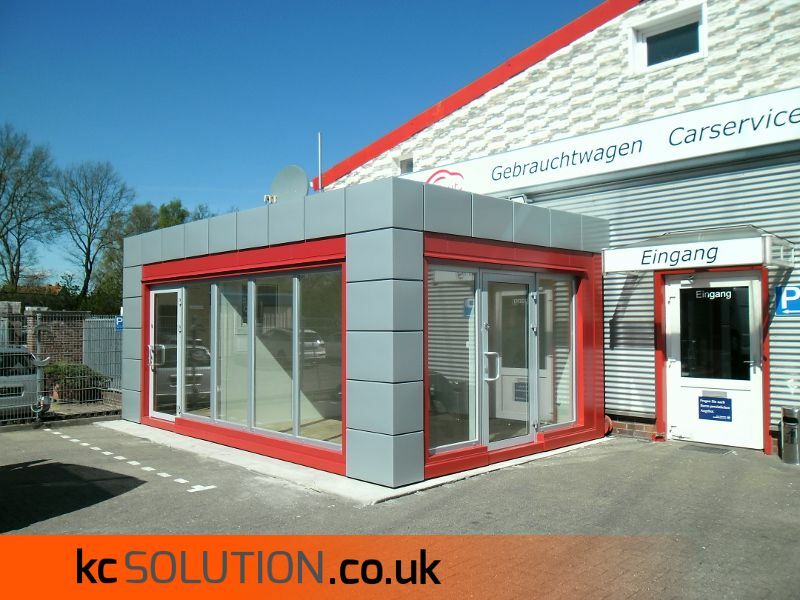 You can freely choose a design of our portable garage in such a way so that it would suit your house. In the case of moving out to another place, you can take this modular building with you. 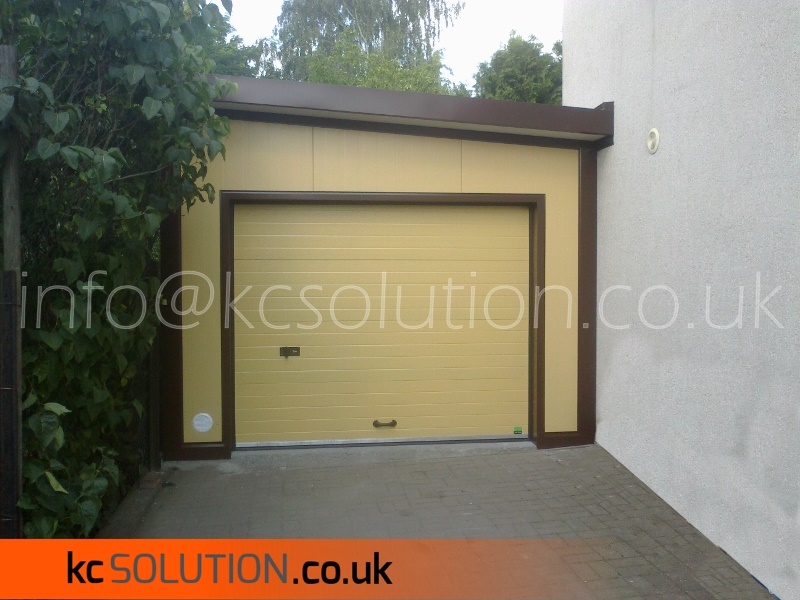 Moreover, sliding or sectional doors can be applied, for instance. 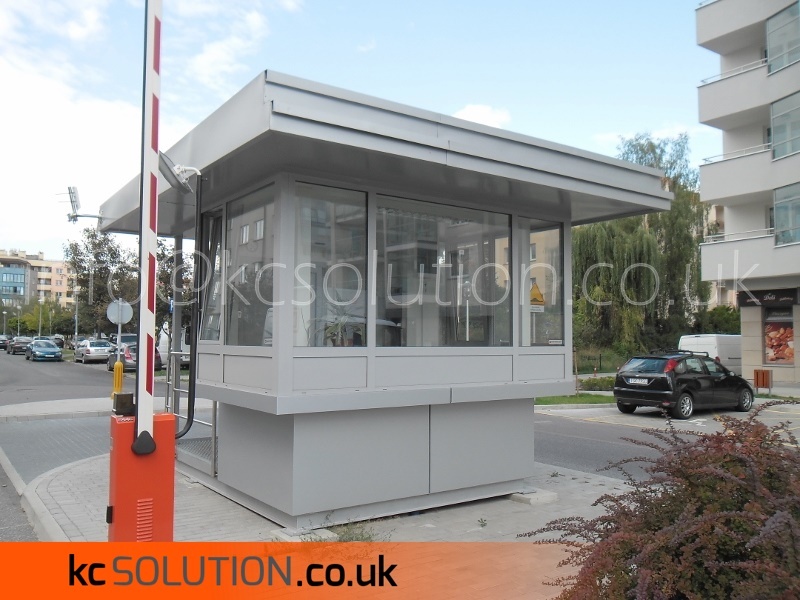 Our products can be also adjusted to serve as gatehouses or ticket offices. Thanks to their mobility, they can be easily moved to another location, if needed. What is more, they will be constructed much faster and cheaper than traditionally prepared objects. 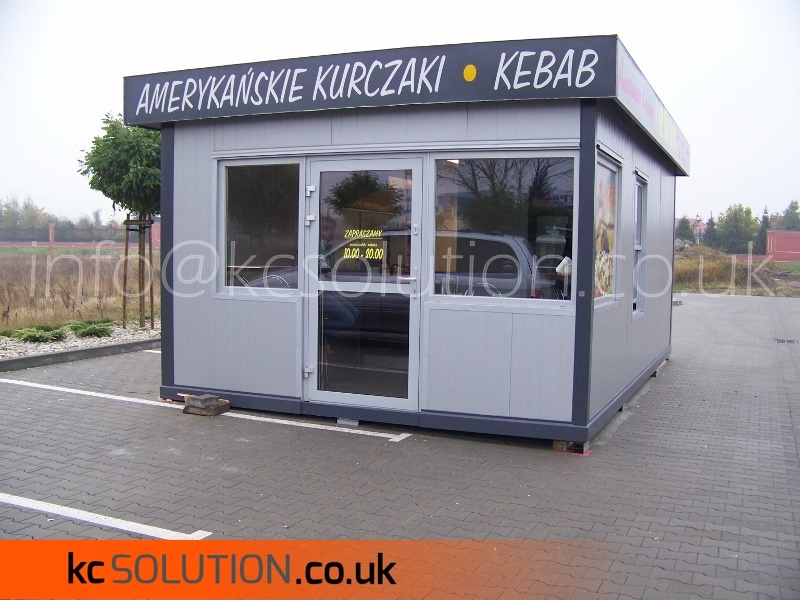 We provide you with high-quality catering units which can be easily transformed into eye-catching pubs, restaurants, bars or fast food points. Without any difficulties, you can install kitchen and sanitary facilities there. Apart from that, you can decorate it as you want, in order to make it unique and recognizable. 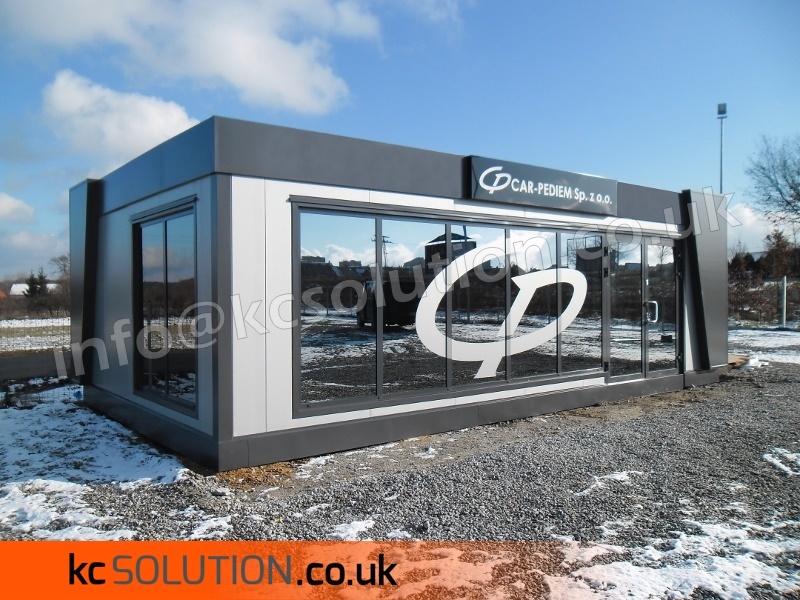 The portable cabins we manufacture also prove useful as industrial warehouses, sheds or storages. In case you needed more space, they can be easily expanded. Thanks to their mobility and lightness, they can also be transported to a different place without much effort. deliver the order in the shortest time possible. We will put a design and price together for you to consider.